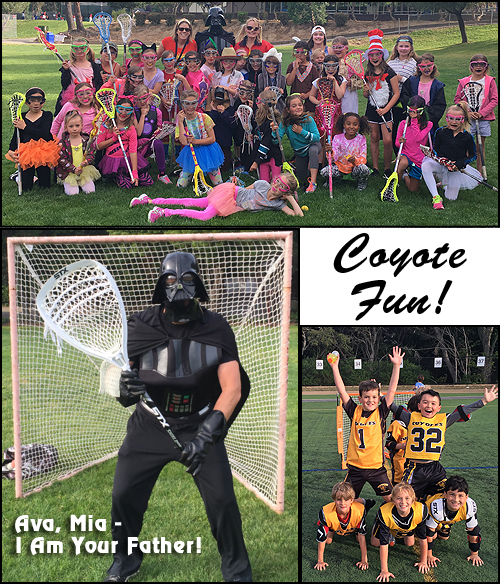 May is a celebratory time for the Coyotes Lacrosse Club as our teams end their seasons with a festival and/or a tournament. Our athletes have grown so much as lacrosse players and teammates. This weekend the U9 girls and boys end their seasons with festivals in Pleasanton and on Treasure Island. Both team closed out their final practice with some fun this week. The answer to be revealed in our next newsletter. Season End Party! Save the date for June 5th early evening. There will be fun activities for the whole family at Burlingame Recreation Center. Save your USED lax gear! We will be collecting lax gear at the Season End Party to donate to a sponsored Bay area LAX program in need of gear! Help others enjoy this great game! As the lax season comes to a close, consider how your Coyote can continue to build upon their lacrosse skills this summer. Putting in the extra time and work will put you ahead at the start of next season. Below are a list of camps available in the area as well as some “drop-in” options for the little PUPS players. Coyotes Facebook page: be on the look out for an updated facebook page. We will need your help to “like” our page and post Coyotes pictures on and off of the field! 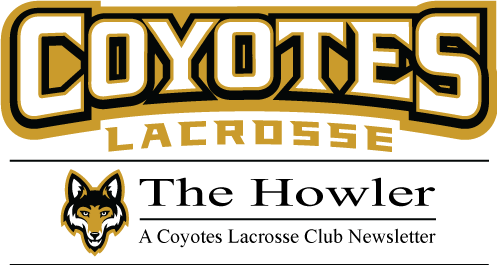 Coyotes 2016-2017 Registration: Registration will start at the end of this season. We will have registration for returning players and then we will open up registration to new players. This early registration process will provide us with more insight and planning support to manage our club size and staffing for the upcoming season. Also see our Off-Season Playing Opportunities section on our www.CoyotesLacross.org website.